The more job opening the better, especially if we are planning to work abroad. In the United Kingdom, it is reported that there are 17,000 jobs for grabs for Filipinos. The Philippine government is not confirming nor denying the report. But to all job seeker who wants to work in the UK, don't get excited yet, since the Philippine Overseas Employment Administration (POEA) is still verifying the report. With this the POEA warns the public to be cautious in applying o transacting a job for the UK or anywhere in the world. 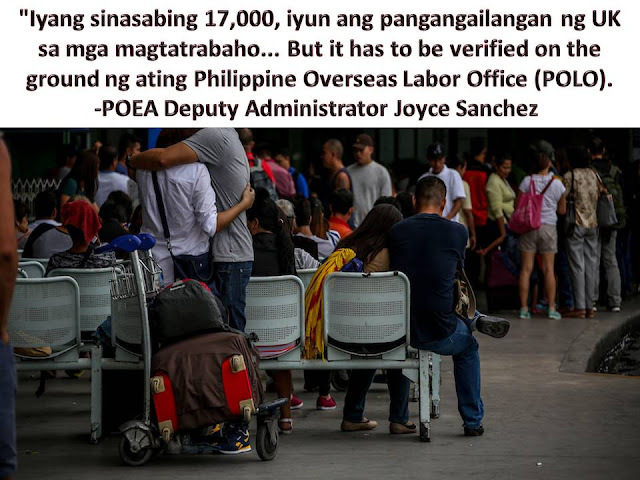 POEA Deputy Administrator Joyce Sanchez said to know if a job is a legit or not, the applicant must check it in POEA website since verified job openings will be listed or posted on their website. 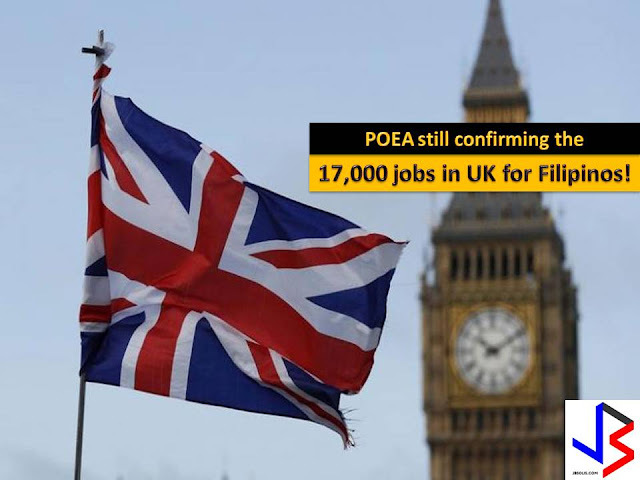 He added that principal employers in the UK should also coordinate with licensed recruitment agencies in the Philippines and seek accreditation from POEA. 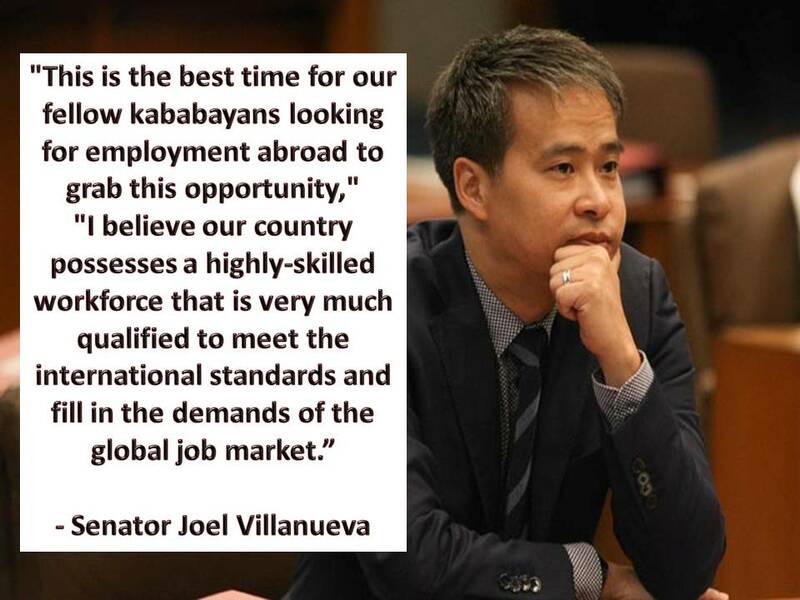 Earlier, Senator Joel Villanueva said, Filipinos could apply for more than 17,000 job vacancies in the UK. After his meeting with the UK officials, Villanueva said, the UK offered a different kind of job opportunity fit for Filipinos as world-class skilled workers. The Senator cited that the UK is looking for civil engineers, fore men, nurses, caregivers, computer programmers, cooks, bookkeepers, and cashiers. Villanueva gave a salary estimate for the UK job openings: civil engineers (P139,000/month), nurses (P113,000/month), caregivers (P61,000/month), cooks (P350/hour), and bookkeepers and cashiers (P286/hour). Job opportunities for Filipinos were discussed during Villanueva's meeting with the Philippine ambassador to the UK Antonio Lagdameo and several officials from the business sector of the United Kingdom. The following are posted job vacancy for the United Kingdom from the website of POEA from June to July 2017. To view the information of recruitment agencies where you can send your application, just click your desired job position.